Get a CLUE! 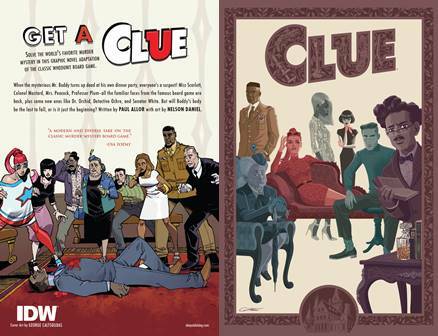 Solve the world's favorite murder mystery in this comic book adaptation of the classic whodunit board game. When the mysterious Mr. Boddy turns up dead at his own dinner party, everyone's a suspect! Miss Scarlett, Colonel Mustard, Mrs. Peacock, Professor Plum - all the familiar faces from the famous board game are back, with a couple new twists. But will Boddy's body be the last to fall, or is it just the beginning?